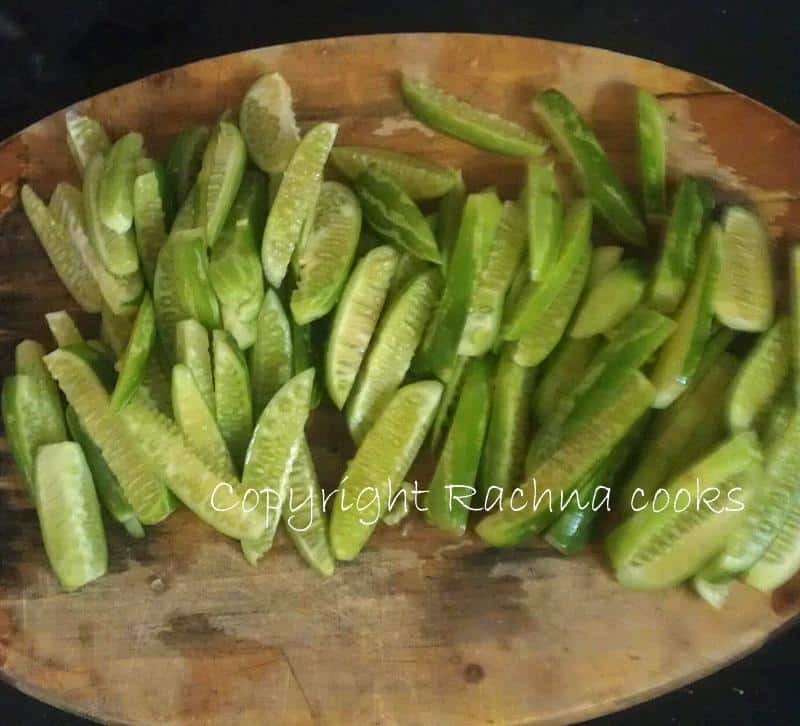 Coccinia/ Tindora/Kundru or whatever you may like to call it has always been the poor cousin of Parwal or pointed gourd for me. 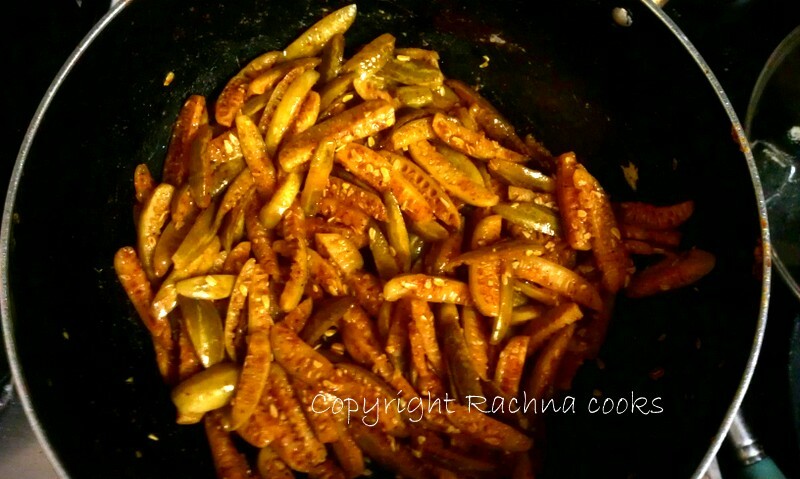 I never really liked the common stir fry that is made with this vegetable till I experimented with this recipe. Now, this is a vegetable stir fry that is quite liked in my house even with the kids. 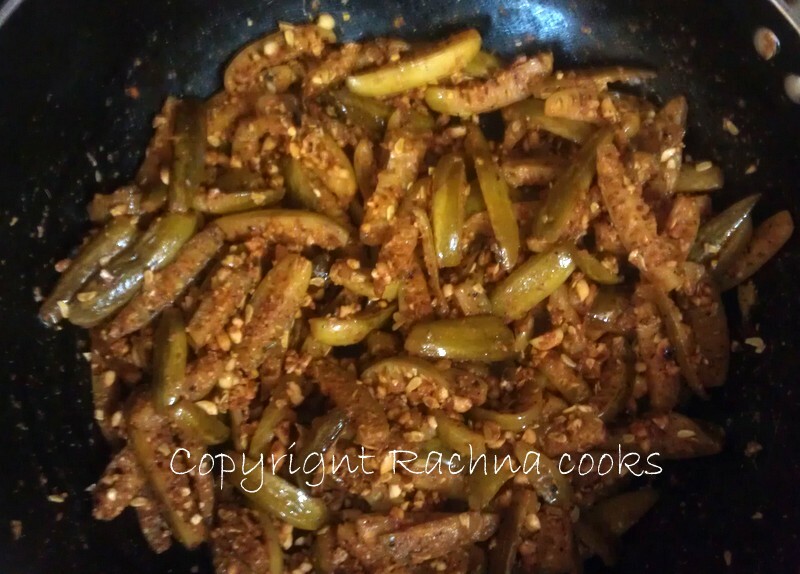 It is made with very simple ingredients and does not require much slogging on the stove which always works for me. Finely slice each coccinia. I cut each one into 8 segments. That way it cooks faster. Else, coccinia take a long time to cook. Now put oil in a kadhai. Put in the cumin and allow them to sputter. Now add the chopped coccinia. Meanwhile, toast the peanuts. Pound them roughly in a mortar and pestle after roasting and keep aside. 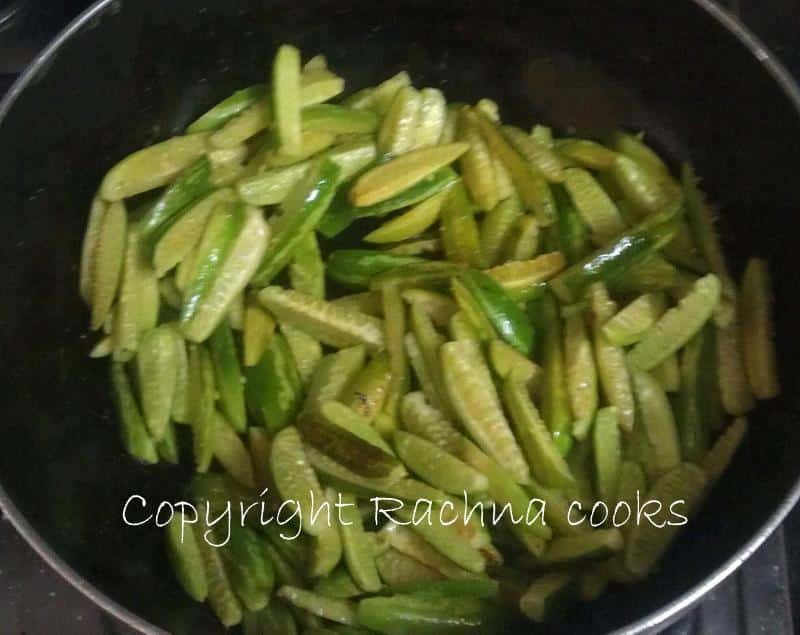 Cover and cook the coccinia on a low flame till it well cooked yet slightly crunchy. It should not turn too mushy. This takes about 15 minutes. Now add in the turmeric, salt, chilly powder, pepper powder and garam masala and mix well. Now pour in the crushed peanuts. 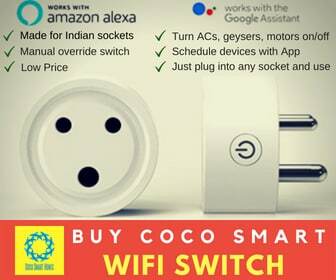 Mix well and serve hot with rotis. The peanuts add crunch and flavor to this spicy stir fry. Enjoy! This is one of those vegetables I’m not sure how to cook. 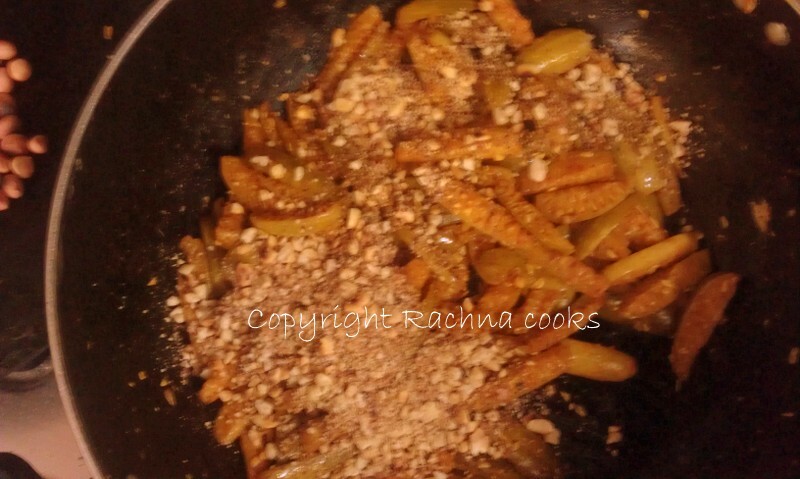 This dish looks great with all those peanuts!! Yep, same here, Fab! I hope you like this recipe :-). Wow, that is fabulous :-D.
I tried this recipe today, loved it.